BERKELEY is two miles West, off the busy Gloucester/Bristol trunk road (A38), and sits at the head of the Berkeley Vale, some of Gloucestershire's most beautiful countryside. Berkeley is rich in all sorts of history, and well known for its people, events and science. His most important contribution, to this day blessed by millions around the world, is the global eradication of Smallpox. The Edward Jenner Museum is close to the town's centre. This historic Gothic mansion sits in tranquil parkland on the Cotswold Edge, beside the Severn Valley and close to Bristol. It offers fine dining, a leisure club, and spacious, traditional rooms. Located 4.3 miles from Wotten-under-Edge by junction 14 of the M5 and only 4 miles to Berkeley Castle. 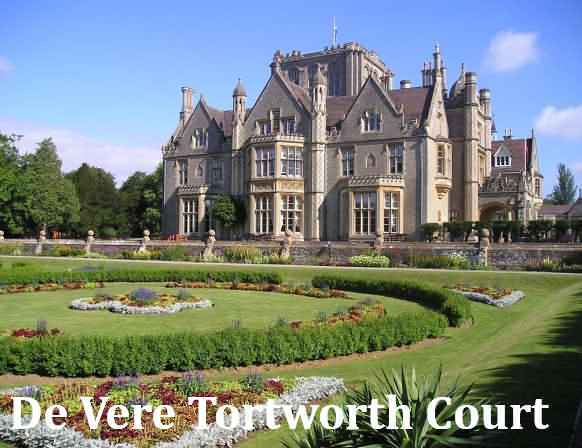 De Vere Tortworth Court Hotel is a Grade II Listed building. It has one of Britain's finest arboretums with 300 rare and protected trees in 30 acres of parkland. The leisure club has an indoor pool, spa bath, gym, and a sauna. There is also a steam room and a beauty therapy centre for guests to enjoy. De Vere Tortworth Estate features Moreton's Restaurant in the charming former library, with oak-panelled walls and a magnificent fireplace. The restaurant serves freshly prepared breakfasts, evening meals and fine wines, with stunning garden views. This property also has one of the top-rated locations in Wotton under Edge! Guests are happier about it compared to other properties in the area. The Malt House at Berkeley is one of those family hotels and restaurants that you can spend a millennium looking for. The Inn can boast nothing if it can't boast comfort. Tastefully furnished in mellow wall coverings and dark woods, the restaurant and bars have just the right level of intimacy and informality to instantly relax you. Wendy and her family welcome you to their home in the heart of the Cotswold Hills and assure you of a memorable stay. From the moment you arrive to take a seat at the bar, or one of the comfortable chairs at a table, you will quickly relax into a friendly, local atmosphere. The Malt House is Wendy's family home as well as their work and so it is important to them that the Inn is as comfortable as possible and that the accommodation and facilities allow you to relax into a friendly atmosphere. All rooms at The Malt House have T.V and coffee making facilities. We currently cannot recommend an holiday cottgaes in this area.